Belfast amateur boxing star Sean McComb is a man with a mission. 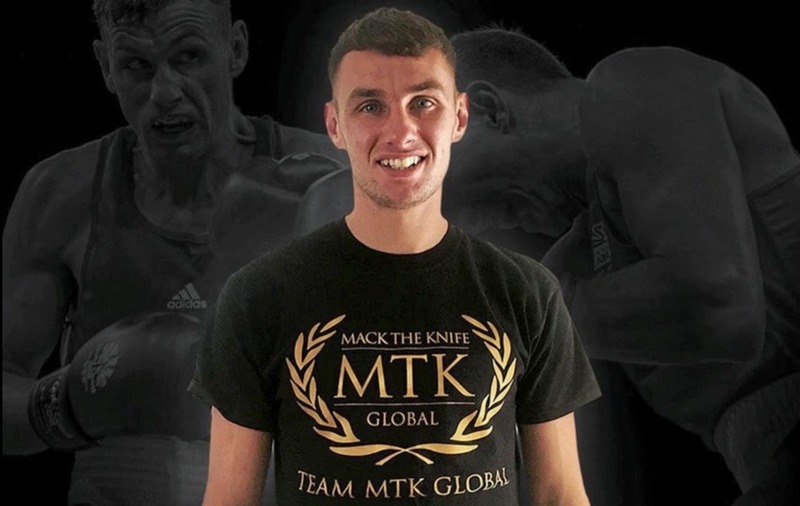 The 25-year-old Turf Lodge southpaw says he's targeting titles as quickly as he can after switching to the professional ranks yesterday under the Mack The Knife (MTK) Global banner. “I want to be fighting for titles in 2019. I don’t want a long, dragged out career,'' he declared. “I want to fight for titles as quickly as I can. I believe MTK Global are the team to make it happen. “I’m capable of competing with anyone in Britain immediately. A multi All-Ireland Elite champion in the Holy Trinity club colours, McComb also represented Ireland at international level bagging bronze at the European Championships and captaining the Northern Irish team at this year’s Commonwealth Games on the Gold Coast in Australia. McComb says he feels his talent should have yielded a larger medal haul in the unpaid ranks, and indeed there some notable controversial decisions going against him in major competitions at home and abroad during his career. 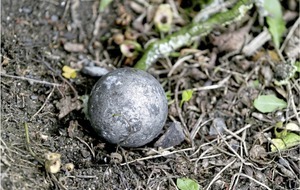 “I’ve had a good amateur career and I believe I’ve underachieved,'' he stated. 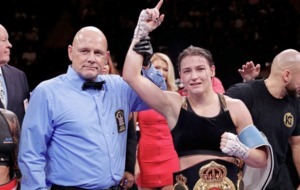 “I’ve been an elite fighter and I narrowly missed out on the Olympics. But now the lofty, counter-punching expert is aiming to put all that behind him, and is focused on seizing every opportunity that comes his way in the paid ranks under the MTK umbrella. Asked about his punching power, McComb had the perfect counter: “You need to ask other people about my power. 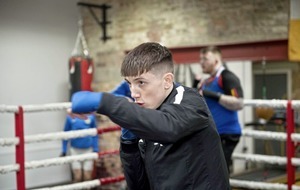 And he won't have to look too far for close support to lift him and drive him on during training with Belfast boxing mates Paddy Barnes and Michael Conlan also in the MTK camp. “I’ve close friends like Paddy Barnes and Michael Conlan who are signed to MTK Global and they trust them completely. “I trust my friends so I believe by association, it’s the place for me. “Trust is the main thing but then there’s the huge success too. “MTK Global has completely taken over in Europe already. They have a fighter on every major show in the UK. Now campaigning in the 64 kilos division, the superfit southpaw feels he can trim down a bit to land his first pro title, but after that his natural fighting weight could centre around middleweight. “I believe I’m capable of making lightweight and that’s where I want to win my first title,'' he said.